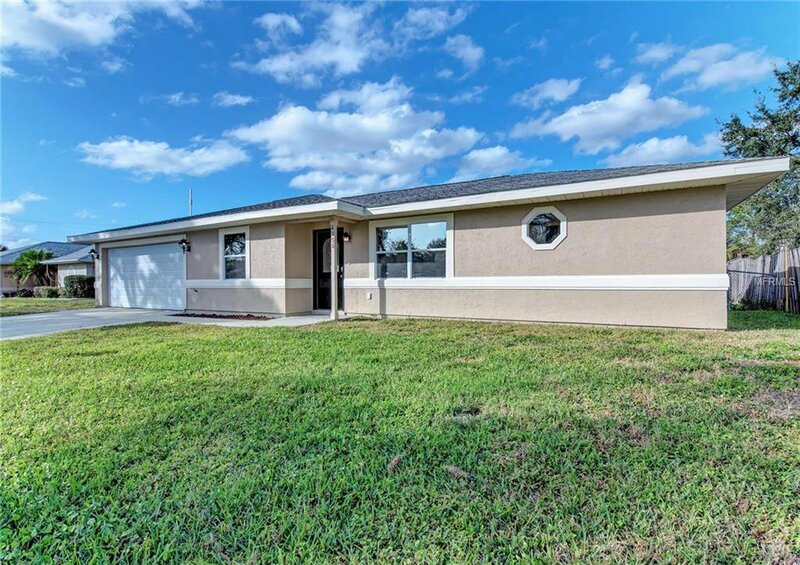 Attractive 3 bedroom, 2 bathroom home in North Port neighborhood. NEW AC!! Open floor plan includes fresh neutral paint throughout, tile floors in main traffic areas, and vaulted ceilings. Kitchen features stainless steel appliances. Master bedroom with walk in closet and en-suite bathroom including shower and separate powder room. Patio off rear off home overlooks large fenced backyard. This location is minutes to the Cocoplum shops, restaurants & schools. Easy access to I-75, SR 41 and 20 minutes to the gulf beaches!. A must see!! A & B Rated schools, Not in a flood zone, no HOA! Listing courtesy of OFFERPAD BROKERAGE. Selling Office: MEDWAY REALTY.